Getting braces to align and straighten the teeth is a significant health investment because straighter teeth means overall easier oral hygiene and healthier teeth and gums. First of all, there is no single magic number when it comes to the price of braces. The cost of braces depends on a number of individual factors including the length of treatment, the severity of problems being corrected, and even geographic area. However, there are some general ranges. 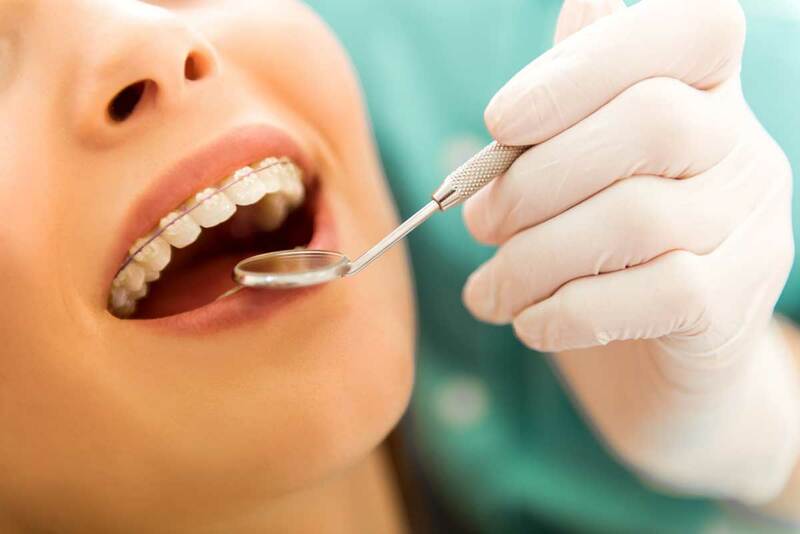 The costs include all the brackets, wires, connecting elastic, or Invisalign aligners, and the installation, and monthly visits to a trained orthodontist for one to three years. There may also be additional items, such as x-rays, retainers and extractions for crowded teeth, that could add to the cost. The type of braces does change the price range, and the type chosen depends on the severity of the problem being corrected and the patient’s aesthetic concerns of wearing braces. An average cost of braces would be somewhere in the middle of these average price ranges. Traditional metal braces usually range from $3000 to $7,000 with $5,000 being considered average. Self-ligating, clear, or Damon braces will cost more than regular braces. Ceramic Braces may cost $4,000 to $8,000. Lingual braces, which go behind the teeth, cost $8,000 to $10,000 because they must be custom ordered and require more skill for the orthodontist to install them. For eligible patients choosing Invisalign, it is very comparable to the cost of braces at $3,000 to $8,000 with an average of about $5,000 depending on individual needs. With any orthodontic option, a more complex case may exceed the average cost of braces. The best way to keep your treatment as short and cost effective as possible is to follow the orthodontist’s instructions completely. Keep your braces clean. You don’t want to have to pay for extra visits or replacement parts on top of the usual cost of braces. For children, this can be a challenge, but it is worth it in the long run. Many orthodontists recommend an initial screening visit for children around age seven to address issues such as crowded teeth. Most braces are fitted around age 12 when the teeth are more less like an adults. Of course, braces aren’t only for children. Many adults choose braces as well. Braces have gotten better over time. There are options to help with the cost of braces. Dental insurance often has some coverage for braces, but be sure to find out their percentage and lifetime limitations ahead of time. There may also be additional insurance limitations for patients over 18 years of age. Many insurance companies won’t pay for braces that are already in place so it may be better not to change insurance companies once treatment has begun. For those who meet income requirements and have a medical necessity for braces, Medicaid may cover braces, but there may be limits and they will likely only cover a percentage of the cost of braces. With a medical savings or health reimbursement account, any money set aside for the cost of braces or other medical care is tax-free. Costs not covered by insurance may be tax deductible if your total medical expenses for the year are 7.5 percent of your adjusted gross income. If your dentist offers it, you may qualify for an interest-free payment plan. You will need to make a downpayment and monthly payments during the time the braces are in place. Many orthodontists also offer discounts if you pay ahead for all or the treatment.